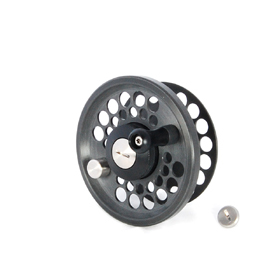 By the Direct Drive reel the retrieving handle is directly attached to the spool. Once you have a fish on the reel, you have to let go of the handle for the fish to pull line off of the reel. The handle spins around as the fish takes line. Once you are retrieving the fish, you can put as much pressure on the fish as you apply to the handle to land the fish. 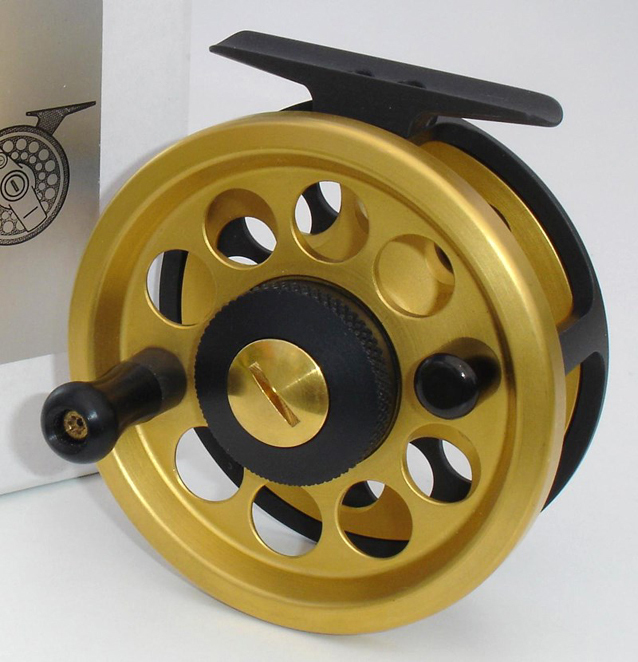 The ability to apply pressure to the fish with the reel, overriding the drag system, is the Advantage of a Direct Drive reel. 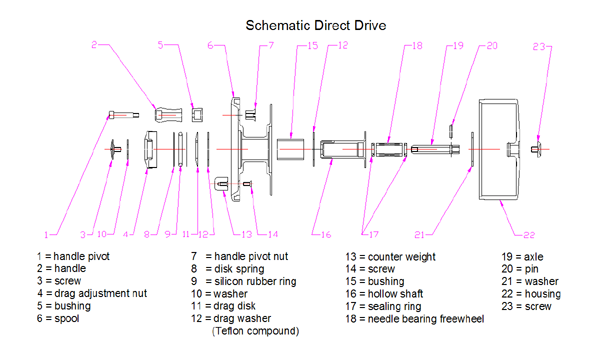 The Disadvantage of a Direct Drive reel is that whenever you are holding the handle the drag system will not operate and can cause the fish to break off. unfortunately not available just now!